Don't we all just LOVE Pinterest!? I know I do! There are always so many great ideas. Even my kids get on and start pinning crafts they want to do, recipes they want to make and ideas of how they want their rooms to be. So I gathered a few different ideas, new and old, for Valentine's Day. I hope you like them all as much as I did. 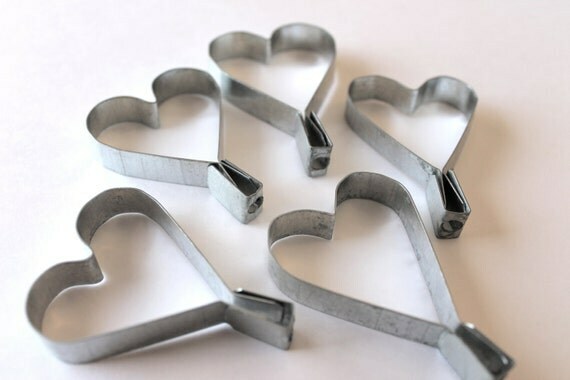 These Old Fashioned Sucker Molds from Western Hospitality would be so cute to make for Valentine's Day! My kids love homemade suckers and the hearts are perfect! The gals over at Eighteen25 outdid themselves again! The color of this printable are perfect and I can't wait to print it off and put it in the perfect frame! 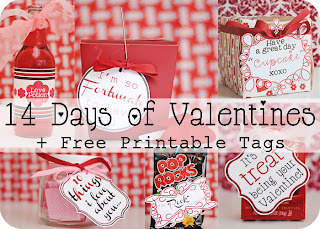 Mommy by Day, Crafter By Night put together such fun ideas for 14 Days of Valentines, and included all the printables. I would love to do this for my husband! 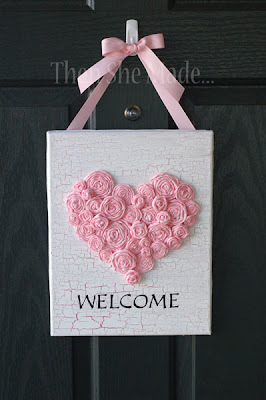 DecorChick has a beautiful Valentine's Day Mantel that I just love! The colors are great and I love the wreath and old window! These Valentine's Day Buttons from TastyKitchen look so cute and I bet they taste so good! Salty and Sweet is the perfect combination! 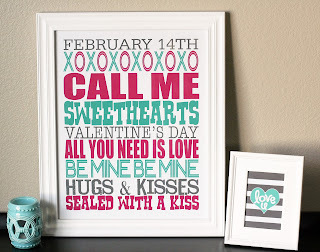 Then She Made created this cute Rosette Framed Valentine, perfect for hanging on the front door. And don't forget about our Love Blocks that we posted earlier this week.